Free MP3 Organizer helps user in managing of MP3,WAV,OGG and WMA files on his harddisk, CDs or Network Drives. Free MP3 Organizer allows the quick and easy editing of MP3-tags, renaming mp3 filenames, scanning selected directories or entire disks to locate your mp3-files, easily manage & play your MP3 song files. The program has a user-friendly interface. Free Accounting and Distribution ERP Software: General Ledger, Accounts Payable, Accounts Receivable, Inventory, Purchase Orders, Sales Orders and Quotes, Sales Analysis, and Bank Reconciliation. Free PDF Text Reader for easy PDF to text conversion. Fast and easy to use interface that supports opening of PDF files for saving as text files. Also supports printing of the text, copy to clipboard, page selection, and viewing of PDF info tags. Free Text Blocks Replacer allows to replace text blocks (not just single rows) in multiple files located in established folder and its subfolders. 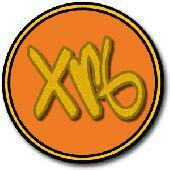 Sell your products online with FREE shopping cart software that adapts to any business. Our open source system comes standard with credit card validation, site search, unlimited product catalog and a content management system to boost your website! CreateInstall Free is a freeware installer for producing good looking setups. Building installation projects are surprisingly easy with its simple user interface. The resulting setup files can be compact and easy for the end user to install. 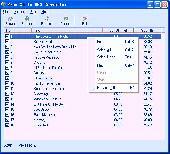 Free Hex Editor Software - Binary and Hex file editing tool for Windows with Multi-Window, Multi-Document Interface, Text Viewer, Advanced Search and Replace features. Edit your Exe Code, Hex Dump, Avi, Mpeg, Jpeg and other files with HHD HexEditor. Free Web Buttons helps you create cool web buttons and menus with ease. FREE! CoreDownload Free Wallpaper Changer is a free wallpaper changer and sequencer that will allow you to customize your desktop with a few clicks. You can make a play list with your favorite pictures and play it all day long. Free Icon Gallery contains more than 3,000 free colourful icons and icon libraries and they are all absolutely free. .